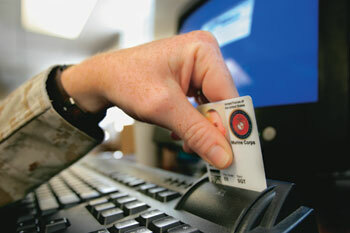 It was 10-year ago this past October when the first U.S. Defense Department Common Access Card was issued. Since then the largest U.S. agency has issued 24 million of the smart card-based secure credentials. 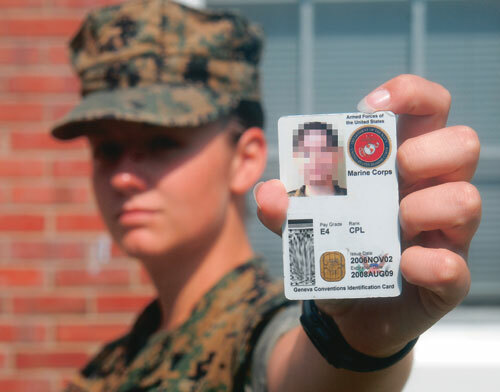 In that time the staff at the Defense Manpower Data Center (DMDC), the group within DOD responsible for issuing the card, went from simply issuing an ID card to truly managing with identity, says Mike Butler, deputy director of identity services at the DMDC. Butler was with the Defense Department when it first issued the credential and rejoined the agency in August 2010 after three years away. The changes that the Common Access Card created within the agency were, at the time, widespread, Butler says. 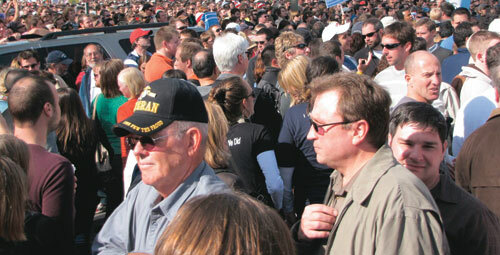 There was no ID for civilian employees, and there were separate cards for reservists and active duty personnel. The Common access Card put everyone on the same footing. Some may say the Common Access Card paved the way for the PIV credentials carried by federal employees across the country. Others go even further calling it the example for all high-tech, PKI-enabled IDs. 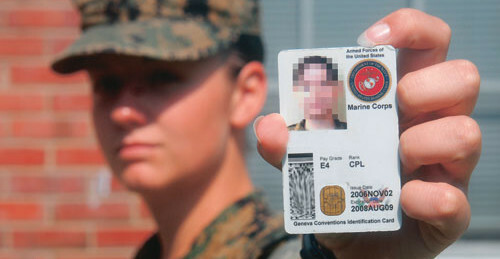 The Defense Department is in the process of replacing the original card with a PIV-compliant credential, but the future Common Access Card may look very different than today’s version … both in terms of its applications and its physical form factor. Public key infrastructures still have a reputation for being time consuming and costly to deploy and maintain. But the Common Access Card is helping to change that line of thinking. PKI has become the killer app for the credential, Butler says. “We were always looking for that killer application and when it started coming in I wasn’t sure that PKI was that app,” he says. After returning to DOD after three years and using the Common Access card everyday to sign and encrypt email and access networks, he more fully realizes its importance. Since 2006 the Common Access Card has been required to login to Defense Department networks and no more than 90% of network authentication is done cryptographically, Jack says. When HSPD-12 was signed in 2005 it would have appeared the Defense Department would be in good shape. The largest federal agency already had smart cards issued and the infrastructure in place to support them. But the FIPS 201 standard veered from what the Defense Department was doing. “There was a requirement for a fairly major shift,” Butler says. The Defense Department if still adjusting for this shift, a situation that has brought criticism from both the Government Accountability Office and the White House Office of Management and Budget. Butler says the agency has taken some time to adjust to the new specification, but it’s gaining momentum and there have been cross agency use of PKI certificates with the U.S. Department of Veteran’s Affairs. Other form factors on the horizon? The Defense Department is planning to expand the use of PKI, including adding the technology to non-person entities such as routers, switches, hubs and even PDAs and laptops, Jack says. “The devices would have a PKI that is bound and vetted so it would be recognized on a digital level,” he says. The challenge with other form factors is finding a solution that still enables the Common Access Card to be used for physical access, Jack says. The credentials primary use is for logical access control but it is used for physical access as well. “We are seriously thinking about how we would do that,” he says. The Defense Department is also considering new application for the card. The agency issued a request for information from vendors about adding an open transit fare collection application and an EMV stored value payment applications to the card. Butler was at the Defense Department from the start of the Common Access Card but left to work on other aspects of the PIV card program outside of DOD. He was reminded of the credential’s impact when he restarted at the agency. Mike Butler has more than a decade of experience in the identity business for the federal government. He’s now back where he started rejoining the U.S. Defense Department’s Defense Manpower Data Center as deputy director of identity services. In a recent discussion with Re:ID, Butler talked about government credentialing programs, but he also shared some thoughts on issues around identity and citizens. Many of these issues are being discussed in the National Strategy for Trusted Identities in Cyberspace and Butler says the federal government and technology providers need to find solutions. The Defense Department is going to look at mobile devices and other form factors for credentialing, but Butler says that smart cards will be the standard for federal employees and contractors for the next few years because of the investment made in infrastructure. He says the government should work with outside providers so that federal employees, who have anchored identities that have been vetted, can have a credential that can be used in the private sector. “We’ve never really been able to get our arms around that and make it work,” he says. One of the most challenging and expensive parts of a credentialing program is the original identity vetting and the efforts required to keep it current. The federal government has been able to solve this issue so why not give employees the option to use it in other areas. “It would be a great thing to be able to transfer that anchored identity into government or non government use,” he says. The smart phone would be the perfect form factor for this type of personal use credential. “People are carrying them and there’s no real additional hardware cost … we might be able to make that work,” Butler says.